There has also been knitting. I could not resist the fabulous yarn I've received from my Nordic secret friends. 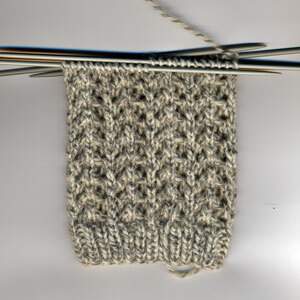 The ragg Norwegian sockyarn from Anita is perfect for Little Arrowhead Lace Sock by Nancy Bush. 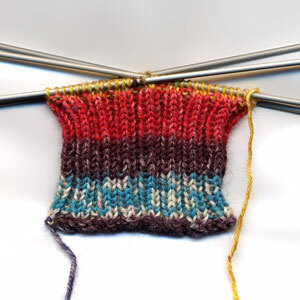 The Fortissima Colori Socka Color from Dorthe becomes a pair of gloves instead of socks. The colors are gorgous. Unfortunately I miscalculated and had to rip quite a bit so you have to wait a little to see more of them. Today we went to St. Eriksplan to get a more RAM for me and a graphics card for R. On the way we passed a yarn store I hadn't been to before. Of course this store had to be checked out. 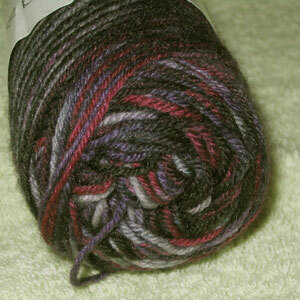 I managed to walk out with no more than two skeins of this berry-colored sockyarn. It was very difficult to get colors true to the yarn with electric light or flash. This is the best I could do. 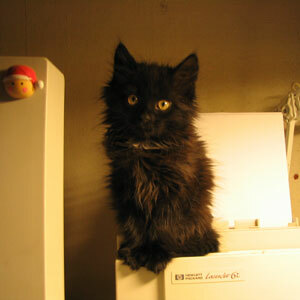 Ursus is growing, he is bigger every day. He is still the same sweet kitten, though. Photo is taken without flash.